If you’re anything like us, you love looking at adorable photos of dogs on social media. Maybe you’ve even wondered about making your own pup the star of the show, or just want to capture a few nice shots for your photo album. Before you start snapping, look around you. Is there a dirty coffee cup on the table or a pile of unwashed laundry by the door? De-clutter the room so your dog will be the focus of your shot. 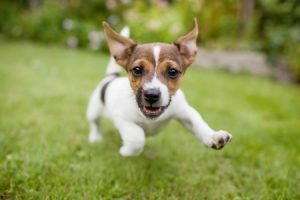 An active dog is a happy dog, so going for a short jog or playing a quick game of fetch is a good way to make your dog smile once he settles down. If you’d like your pup to look at the camera, call her name before you click the shutter. Better yet, hold (or have an assistant) hold a treat so she’ll be looking in the right direction. Use the focus point on your camera to focus on your dog’s eyes. Remember, taking photos of your pet should be fun! If you’re stressed, your dog will pick up on it, too. Let go of your need to get the perfect shot and just have fun with your pup. If you think you’ve got what it takes to capture some great dog photos but haven’t actually found your best friend yet, check out Pauley’s Pups. 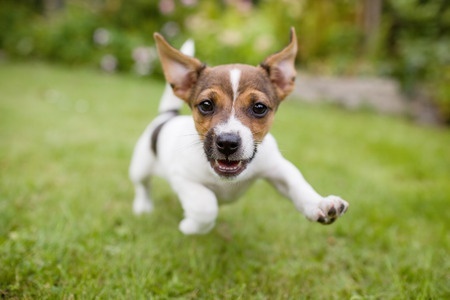 You’ll enjoy meeting our wide variety of puppies and toy breeds. Contact us to learn more about finding your own canine social media star!